The Royals playing in Omaha? Naturally. OMAHA, Neb. — Major League Baseball will come to Omaha for a day next year as part of an initiative to take the product to new places, commissioner Rob Manfred said Thursday. As part of the buildup for the 2019 College World Series, the Kansas City Royals and Detroit Tigers will play a regular-season game at TD Ameritrade Park on June 13. 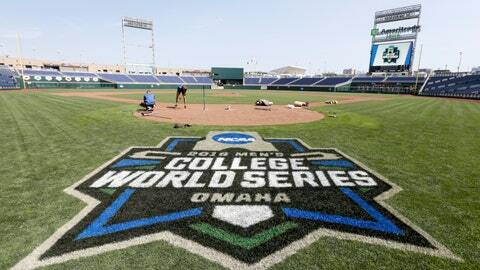 The CWS starts two days later. MLB has played regular-season games in Cuba, Mexico, Puerto Rico and also at Fort Bragg, North Carolina, and in Williamsport, Pennsylvania, in conjunction with the Little League World Series. “This may be the best non-major league facility in North America,” he said. Of the 641 drafted players on major league Opening Day rosters this year, 61 percent were from four-year colleges. The Royals chose 34 junior college or four-year players in this year’s draft; the Tigers picked 35, including the overall No. 1, pitcher Casey Mize of Auburn.